This excellent plant fair is being held this Bank Holiday weekend on Sunday 25th and Monday 25th May between 10am -4.30pm. 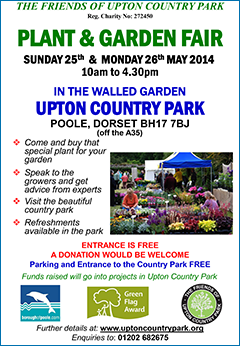 It will be in the lovely surroundings of the walled garden with all its super planting. Entry will be free and I understand there is a free car event on in the front field too, so there will be plenty to do! Include lunch in the cafe and a nice stroll all around the grounds and you have a really pleasant day out. Fine weather is booked 😉 so come and see us against the back wall of the garden. ← BROADSTONE FESTIVAL MAY 10th!